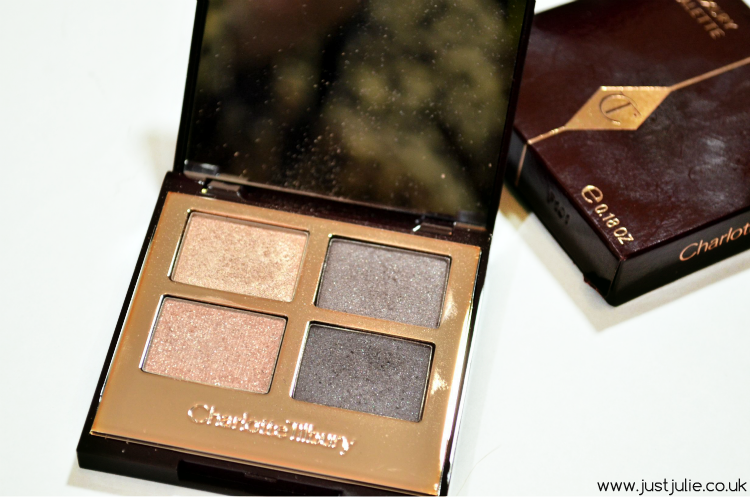 So it was my birthday last week, I headed up to Selfridges in Oxford Street and I knew what was first on my list, the Charlotte Tilbury Counter! Beware, this is a photo heavy post! 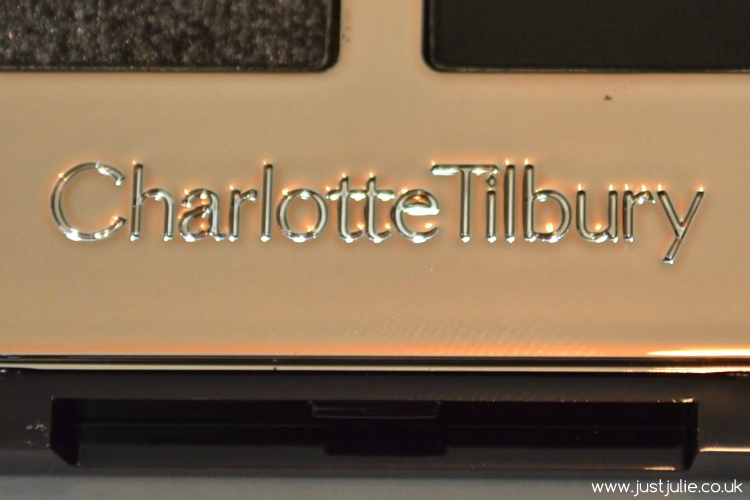 I have been dying to try some Charlotte Tilbury makeup. Seeing posts and YouTube videos on how amazing her products are have made me literally crave to add to add a bit of Tilbury into my makeup collection. The counter was heaving, well it was half term week, so it was to be expected I guess, so unfortunately I didn't get the chance to play with many products from her line. In truth, I have no patience when places are busy, so I'll have to make a visit again soon. 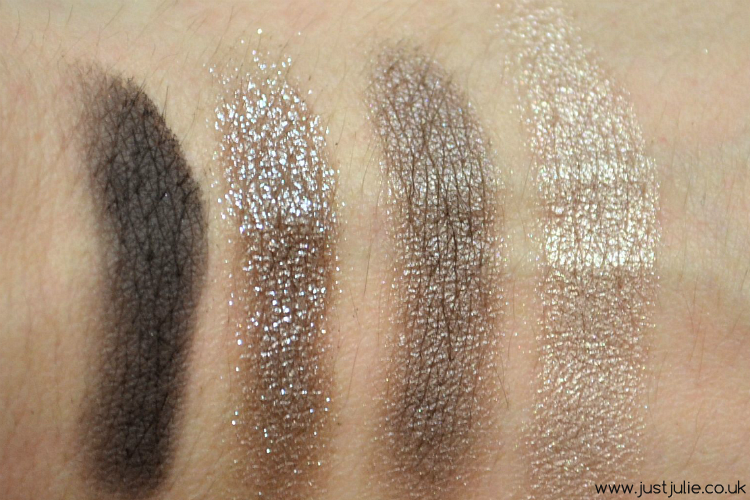 Anyway top of my list of products to try and buy were the gorgeous eyeshadow palettes. I ended up picking up two palettes and a makeup bag too. Firstly let's talk about the packaging. OH MY GOD it's just beautiful isn't it? The packaging is very luxurious looking and it just feels so premium. I love how classic the palettes look yet they still remain modern with the rose gold included in the colour, which right now I'm loving anything gold or rose gold related! One thing that I wasn't expecting was how little these weigh. I did think they would be quite heavy, but they really aren't, and with them being relatively small in size too they are ideal palettes to travel with or just keep in your makeup bag when you're out and about. I had wanted to buy the original makeup bag that was available when Charlotte Tilbury first launched last year, however it sold out pretty much straight away. There's not actually much difference between the two bags really. Both bags have the lips of some iconic celebrity women on it, however the original had the celebs names under each lip and came with a different quote on the back 'Every woman deserves a man to ruin her lipstck, not her mascara' which I just love and stole and made my an iPhone case with the quote. This makeup bag has an extra celebrities lips on it, but apparently it's top secret! 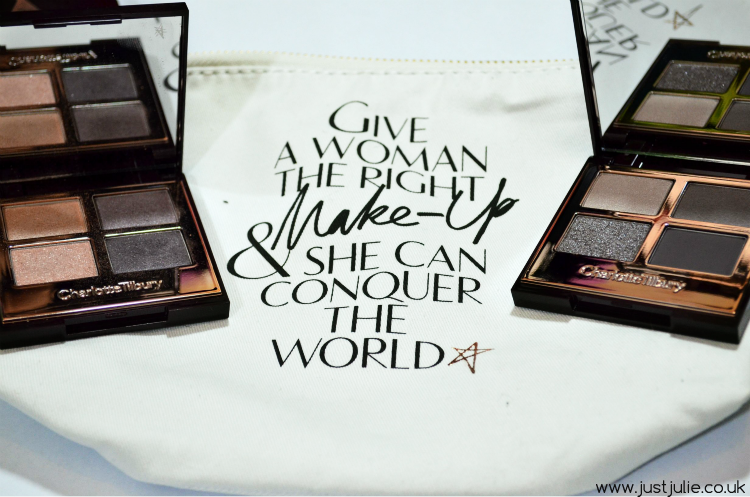 It comes with a different quote, which I still love and think every beauty blogger out there will 100% agree with! Ok in truth I bought the bag for the lips and quote, however it's extremely well made and is a good size, you can fit a lot of makeup in it which pleasantly surprised me! This is the palette that I has been on my wishlist for over a year now! 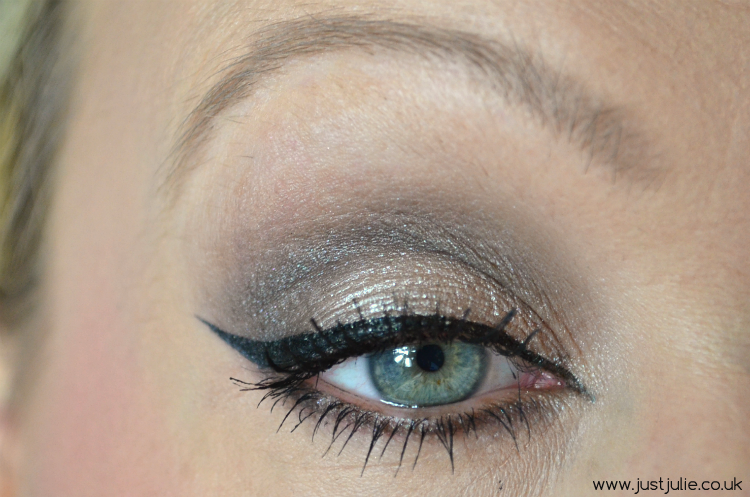 I love a smokey eye palette, I love anything that has a bit of shimmer and glitter in too. 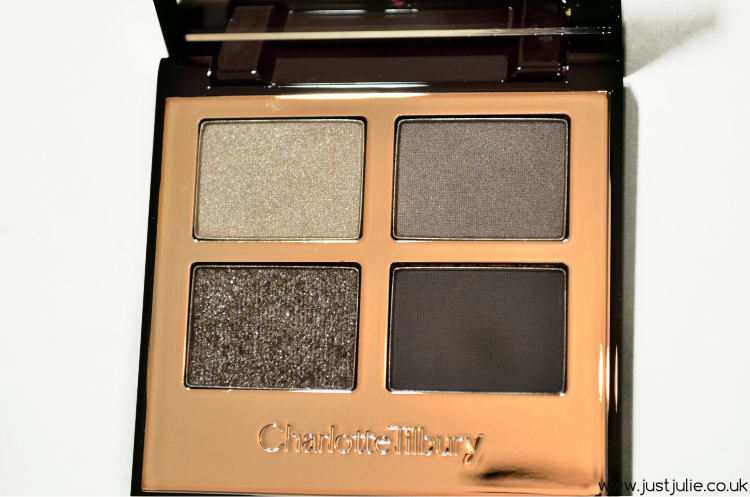 Charlotte's take on the classic smokey eye palette is simply divine. It comes with four eyeshadows, a soft shimmery pale grey colour, a medium satin grey, a dark matte grey and a gorgeous glittery silver colour too, so you can make that smokey eye really sparkle! The matte shade is very buttery and not chalky at all and the shimmers are so creamy in texture that they blend in with ease. 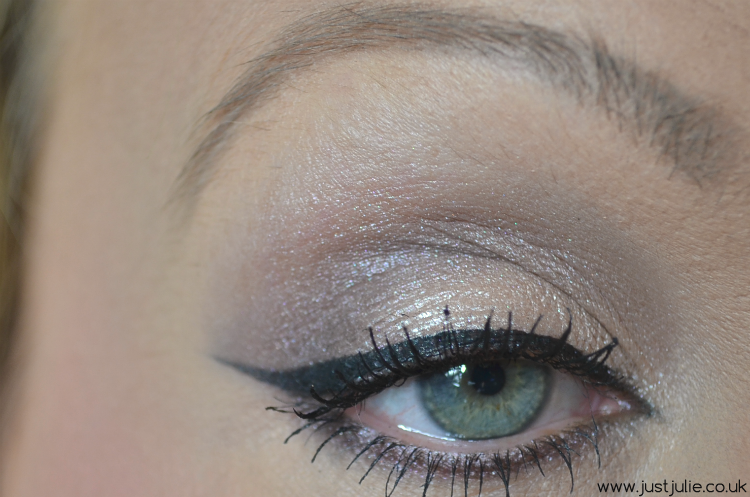 'The Rock Chick' is subtle enough for those who don't like anything too dark, but the texture makes it easy to build the colours up to create a full on smokey eye look. 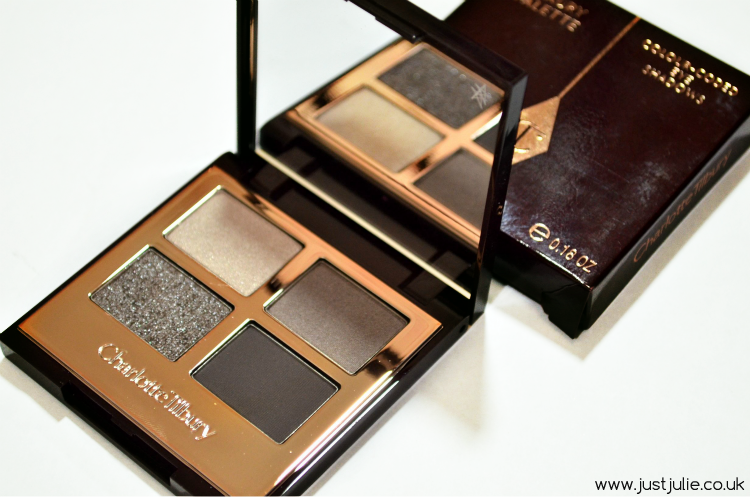 I think this is a beautiful palette and will be ideal for the festive season fast approaching! Up town girl is a much more neutral palette in comparison to 'The Rock Chick' yet still can be used to create a smokey eye, just asofter and more natural looking. The shades are gorgeous, there's a beautiful champagne colour, a satin taupe colour, a grey with a slight mauve undertone and a gorgouse pink glitter colour. 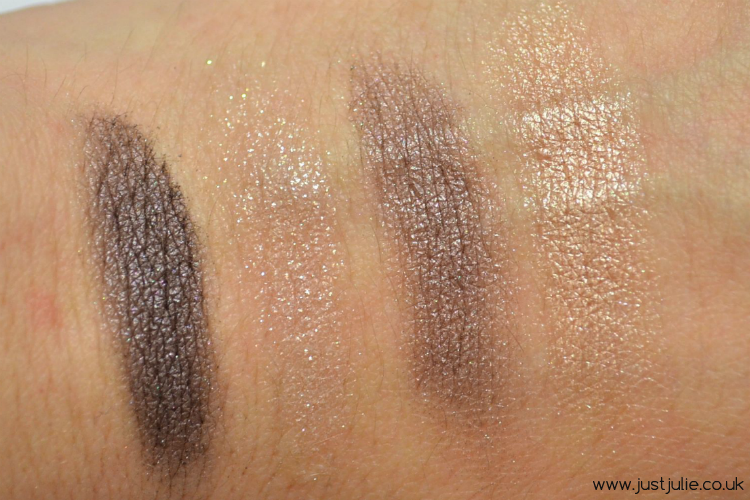 I think this palette is gorgeous and I can see this fast becoming my go to every day palette as the colours and finishes are nothing too OTT, but like I said if I wanted to convert the above look to something more evening I'd just add a touch more of the darker shade to transform the look into something totally different and more evening appropriate. Like with 'the Rock Chick' the colours are easy to work with and blend in. There's very little fall out, even with the glitter shades (which is rare) I will say that my eye look pictures really haven't captured how pigmented the colour actually are, which is a shame as they do have great pigmentation. 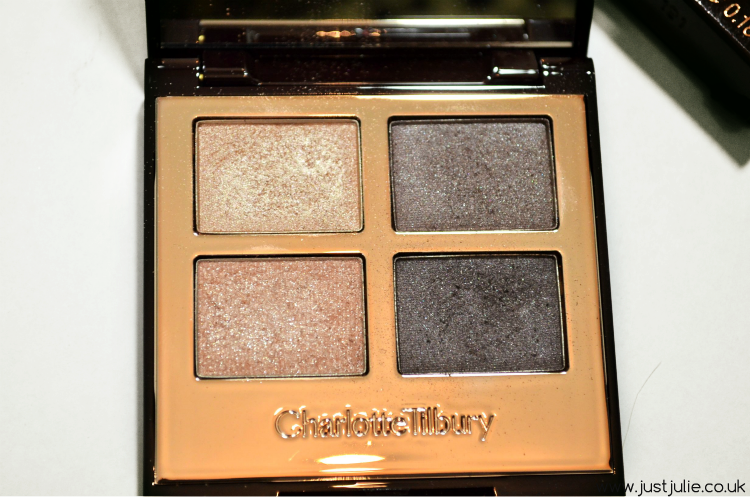 Overall I'm so pleased with my Chartlotte Tilbury purchases. I get these cost a little more than some of the other brands I mention here but as an eyeshadow addict (did you see my instagram picture of all the eyeshadows I got in one week?) I like to have a mixture of budget brands, middle of the range brands and highend brands, also as it was my birthday and these were bought for me, having some luxury highend makeup was a must have present for me! Whilst I was at the counter I did get to swatch a few lipsticks, so they are now on my Christmas list! Oh if anyone has any advice on how I can get my eye makeup looks to photograph the colours so that they are true to life (the pictures really didn't capture the pigmentation enough) could you please let me know what you do, lighting, camera settings ect? Either here or on Twitter please.